If you like me, a mid-age person, you should have some very old photos, 20 years ago we only have film photos. Nowadays, everybody knows digital camera, young generation doesn't know that kind of photos. The problem is, how can we convert old fashioned photo to digital? The only way is, scan these old photos, and save them to your computer. 1000Memories is a website that helps users scanned old photos by your iPhone, and stores on server. 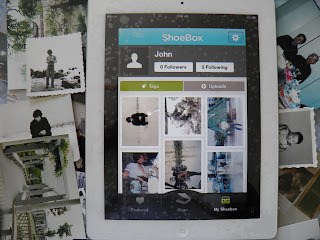 With this web service, you have to download an application "Shoebox" to your iPhone. This app mixed Scansafe that turns your iPhone or iPad to a scanner. So you can scan old photos, simple adjust size, color, bright. It will save this photos in your phone and upload to sever automatically. You can also share them in Facebook, Twitter.